For a freshman/junior-level course in History of the Ancient World, Introduction to Antiquity, and methods courses. May be of interest to Archaeologists in departments of Anthropology. 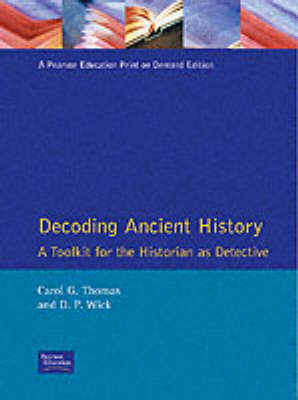 Innovative in approach, this text combines a narration of selected areas of ancient history and at the same time outlines the methods and tools used by historians to coax historical facts from clues hidden in artifacts, written materials, and the land itself. Using a "detective's" perspective, it draws students into participating in the act of discovering evidence, and addresses the question of how we can and cannot use the various kinds of evidence to study ancient history.